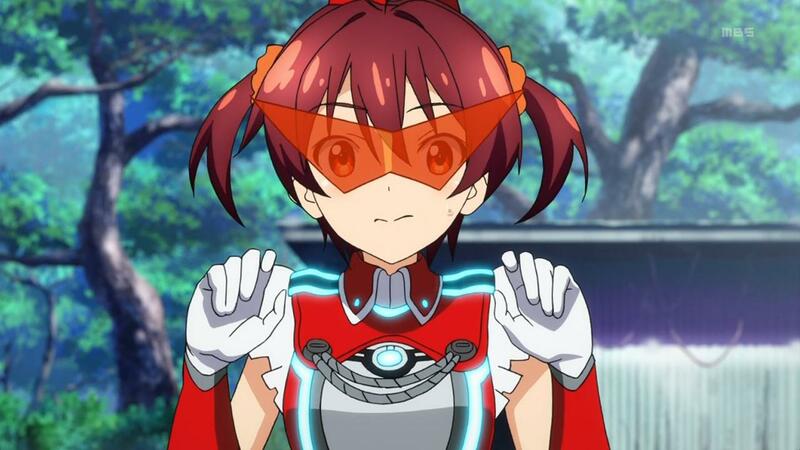 Akane is the “Amane” (see ‘Ange Vierge’) of ‘Vividred,’ if the latter weren’t locked in stasis for much of the series; without Akane, Kuroki and the “Alone” succeed in their plans and Dr. Isshiki’s hopes to stop them are doomed to fail. The only effective way to face anyone who’s lost their will to live is thus with friendship and compassion! With two full seasons, an OVA, and three stand-alone episodes, one could say that Strike Witches did pretty well. It also has a spin-off, the Brave Witches, which didn’t do nearly as well as Strike Witches did (with only one season completed). 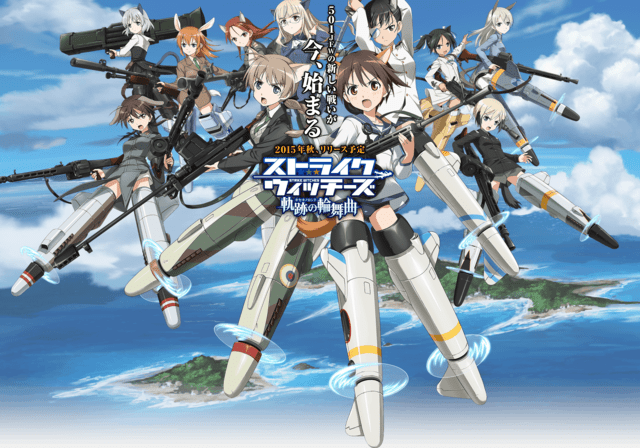 The “Strike Witches” and their real-world inspirations — chart…. Similar to Fubuki in Kantai Collection, the main character in Strike Witches, Yoshika Miyafuji, occupies the first season working to prove herself as a capable member of the squad. She ends up quickly surpassing many of her comrades, only deplete her magic executing the most OP ability in the entire series — only to, somehow, gain it all back again in the OVA. Then again, who actually has watched this Anime for the “plot” anyway? >Azhseg relics = Azhseg railgun (powerful arcannon powered by Chi), Azhseg derelict (Derelict Race arcship traveling to Ancient Gateway), Azhseg starship (stolen Shipbuilders craft), Azhseg omnibus (box for crafting any consumable item), Azhseg ring (ring for turning energy into Chi/Prana found inside the Derelict), Azhseg relic (relic of unknown use found inside the Derelict), Azhseg compass (star chart, calendar, compass, item locator), Azhseg tome (a piece of parchment found inside the Derelict), Azhseg artifact (a tablet with script found inside the Derelict), Azhseg lightsaber (an arclight sword found inside the Derelict), Azhseg orb (a mysterious orb that shows the viewer a possible timeline), Azhseg voice-box (a universal translator device found inside the Derelict). Upgraded Yuudachi action shot (from Wallpaper Abyss). Girls with the souls of (Japanese) warships past go to battle against alien foes! In other words, Kantai Collection: KanColle…. Fubuki — “Bucky” — is the “little warship that could,” in this series. Fubuki, like her friends Mutsuki and Yuudachi, is a destroyer which means poor guns but good torpedoes. Adding the three Cruiser sisters (Sendai, Jintsuu, and Naka the “idol”) to the mix, and it’s no wonder this particular fleet is named “Torpedo Squad 3.” Torpedoes for days! Many of the girls in the show display one or two traits that hearken back to their real-life warship counterparts. For example…: Kongou was “born” in the UK but used and maintained by the Japanese, and as a result Kantai’s Kongou likes to throw English words into her speech. Kongou, Hiei, Kirishima, and Haruna all belong to the Kongou class of battleships, and not surprisingly the Kantai counterparts are sisters. Destroyers like Fubuki are small, fragile ships, and in Kantai Collection most of the “lolis” are indeed destroyers (conversely, the tall, mature girls take up the battleship and carrier classes in the show). Speaking of battleships and carriers, Kantai‘s Akagi and Yamato are shown to be “big eaters” — perhaps to imply their real-world counterparts required a LOT of fuel to run. 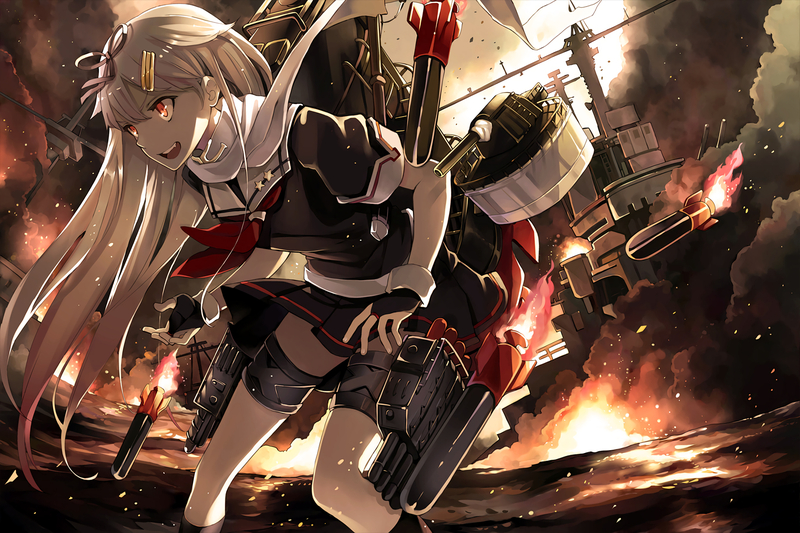 Finally, there’s Yuudachi and her near-incessant use of “-poi” which is essentially a “maybe” in Japanese (maybe a reference to the Battle of Guadalcanal, wherein Yuudachi and other Shiratsuyu-class destroyers did a number on American ships — maybe). This particular Anime is based on a Japanese video game of the same name, and theoretically there’s also a second season of the show out somewhere…. It’s Street Fighter meets “Magical Girls” — ViVid Strike! Fuuka and Rinne, once friends, grew into adversaries — only to become friends again at the very end of the series. That’s basically the ViVid Strike plot in a nutshell…. The most powerful fighter in the ring is Vivio (not to be confused with “ViVid” of the show’s title) — the girl with the Christmas-coloured eyes. She’s the girl that Rinne spends so much time training to beat. A street-borne fighter her whole life, it wasn’t until a chance encounter with a professional fighter as a teenager that Fuuka (the show’s actual protagonist) was finally given an opportunity to show her fighting skills to a much wider, public audience. There, she also has a chance to reconcile with her old friend, Rinne, once and for all — will they continue as adversaries, or can they truly rekindle that old friendship they had as orphans? All is settled, at last, during the epic, no-holds-barred duel held in an abandoned town as Fuuka ultimately emerges victorious (though both are absolutely drained of energy afterwards). Fighting in the ring, in ViVid Strike, is not your average old-school style boxing tourney! The girls have to wear special shock-absorbing belts because punches thrown in this ring come with an added punch of magic! Even so, girls facing Rinne tend to wind up on hospital beds all beaten up. I found this show entertaining and well worth the time to watch, so hopefully you’ll feel the same!